NOVEMBER 28th to 2nd DECEMBER 2018 – 2018 Wallaby Hill CCI Event – Gladiator Float On Display. Gladiator Floats will have a 2 Horse Angel Warmblood Luxury Horse Float on display at Wallaby Hill in Robertson. 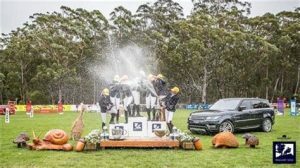 122 Wallaby Hill Road, Robertson New South Wales 2577 Gladiator Floats is once again honoured to be one of the sponsors of this prestigious event that is held annually at the Beautiful Equestrian Estate known as Wallaby Hill. Yvonne from Gladiator Floats will be there over the 5 day event with a Gladiator Float on Display. This will be a great opportunity view a Gladiator Float and watch a day of the 2018 Wallby Hill CCI Event !